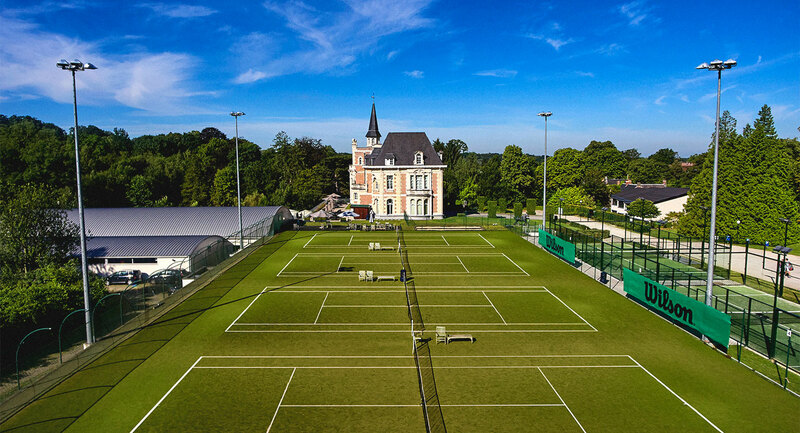 If you’ve never played Padel Tennis before then we’re lucky enough to have two lovely courts here in Brussels. It’s a game that’s like squash, and it’s faster than tennis, so you’ll work up a sweat quickly. You play in pairs on a smaller, enclosed court, and the rules are easy to pick up. Once you’ve mastered the underarm serve you’ll be ready for a match! Tennis is where it all started at David Lloyd Clubs, so it’s only natural that we’ve got fantastic facilities here at Brussels. We have five indoor and six outdoor courts so you can play a match, improve your serve, or take a lesson, no matter what the weather. That’s not all; we’ve got two fantastic Padel courts for you to try your hand at this fun sport too. And, our Multi Sports Hall can be used to make up two basketball courts, two football pitches, or to put up our four table tennis tables. There’s so much choice! Plus, all of our courts can be booked up to nine days in advance, online or using our simple mobile app.